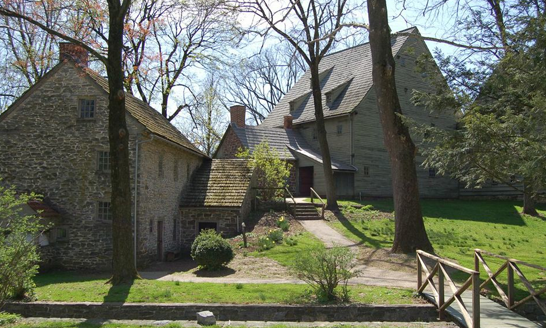 Historic Ephrata Cloister is one of America’s earliest religious communities. Visit us to learn about this unique religion and tour original buildings that are unlike anything you’ve ever seen before! Composing over 1000 hymns and unique music. 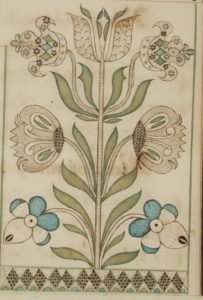 Beautiful written manuscripts and wall charts done in a Germanic calligraphy called Frakturschriften. Printing the largest book in the colonies prior to the American Revolution, a 1500 page book called the Martyrs’ Mirror. And their magnificent buildings which still stand today. Explore this 28 acre National Historic Landmark. Discover buildings dating from 1735 and 1840 and two cemeteries. 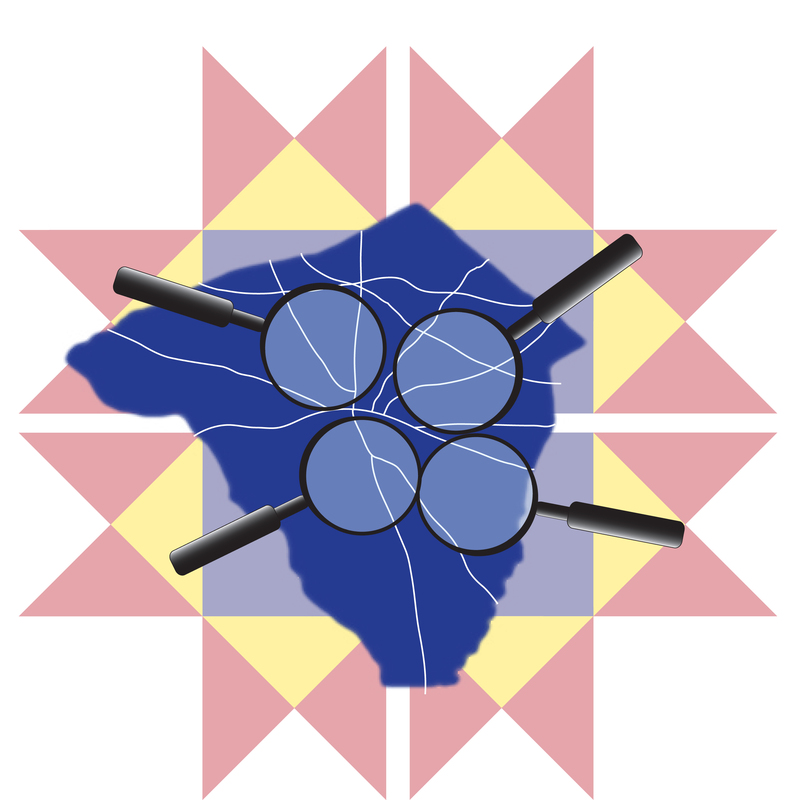 Experience a guided tour with a knowledgeable interpreter (call for times). Listen to our cell phone tour and learn about the people who once lived here. Children can participate in a scavenger hunt and earn a prize. 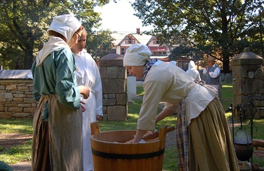 Visit the exhibit Prelude to the New World, An Introduction to the Ephrata Cloister. And no trip to Historic Ephrata Cloister is complete without a trip to our Museum Store offering unique books, souvenirs, postcards and traditional handcrafts made by local artisans. 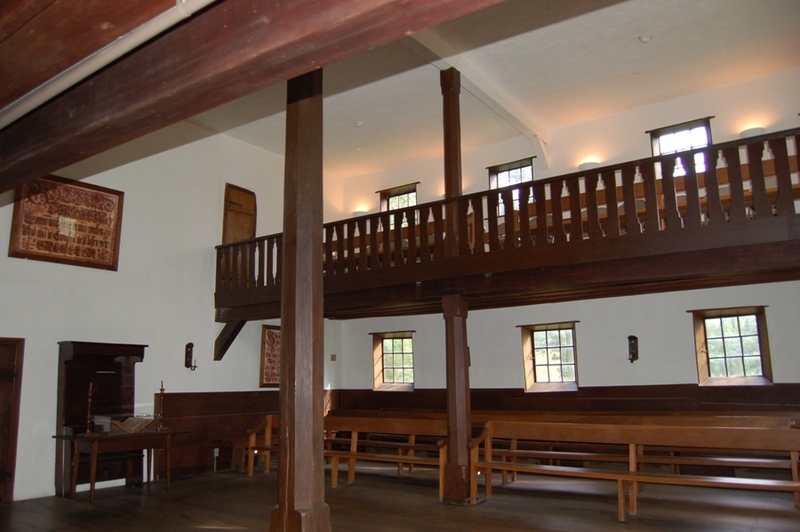 Historic Ephrata Cloister is open year round and offers special interest tour options, minimal walking tours, and school programs upon request. Group tours by appointment. To assist the international visitor our Visitors Guides are available in German, French, Italian, Dutch, Russian, and Spanish. Visitors have been coming to visit Ephrata Cloister since 1736. You should too!